The 96 Ounce Mini Montana Jars with Aluminum Lids are an outstanding addition to your kitchen counters and pantry shelves, fill up with spices, flour, and any other items you want within reach. 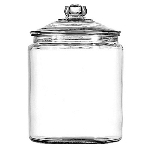 Each glass canister has a snug fit lid which will keep all contents fresh. 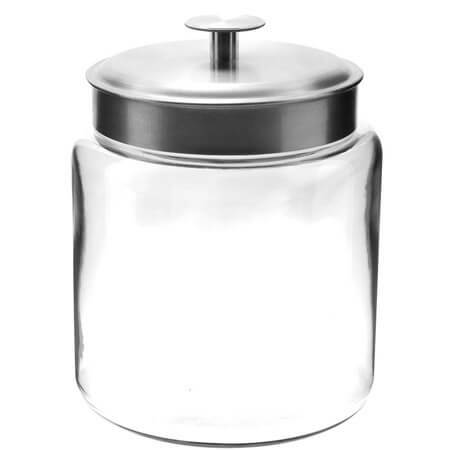 Glass construction allows you can easily view what is in each container as well as how soon you need to refill.You can get creative and hang tags off a ribbon around the neck of the Montana jar or put a small area of chalkboard paint on so you can easily label and change as needed. Also available in 48-ounce and 64-ounce sizes to really round out your candy store displays. 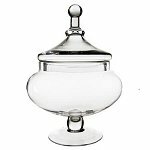 Colorful candies really show off the simple elegance of this decorative jar. Order yours today!